Police have seized a quantity of tablets which they believe were taken by three people who ended up in hospital in South Tyneside. One man was left in a life-threatening condition overnight on Saturday, but has since improved. 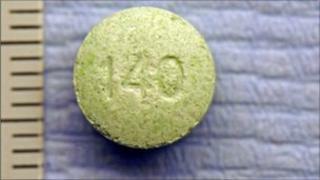 The tablets are now being tested to establish whether they were the drugs responsible. Seven people were arrested in connection with the incident, but four have since been bailed. DCI Peter Bent said: "We have seized a quantity of tablets which we think are the dangerous drug that is in circulation and caused several people to be seriously ill over the weekend. "These tablets are currently being analysed in the laboratory so we can establish exactly what they are. "If anyone has bought drugs which look like this, or is offered them for sale, I would strongly advise them not to take them. "They could have very dangerous, and even potentially fatal consequences."